Properties in Prescott Valley Units average 4.8 out of 5 stars. 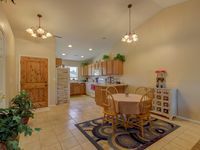 Property 5: Located in Prescott Valley Minutes From Prescott, Parks & More! Juniper Crossing Townhome. Relaxing getaway near entertainment and recreation. Property 6: Juniper Crossing Townhome. Relaxing getaway near entertainment and recreation. Property 11: Gorgeous Home located in a quiet neighborhood. Great location to fun places. Property 15: Saddle Up Suite: 5-star 1-BR 1-Level Apt. Guests rave! Cheryl is amazing. We arrived later than anticipated and after dark. She was waiting outside for us. Gave us a complete walk-through and explained how everything operated. There were snacks and drinks plus killer banana nut bread there waiting for us. She was helpful with information and suggestions about the area and places to go and things to do. We felt very welcome and at home. We will be back.